In this topic you will learn about the in-page experience analytics dashboard. The analytics dashboard provides a high level overview of the number of social shares, the types of devices used to view an experience and the most viewed videos for an in-page experience. 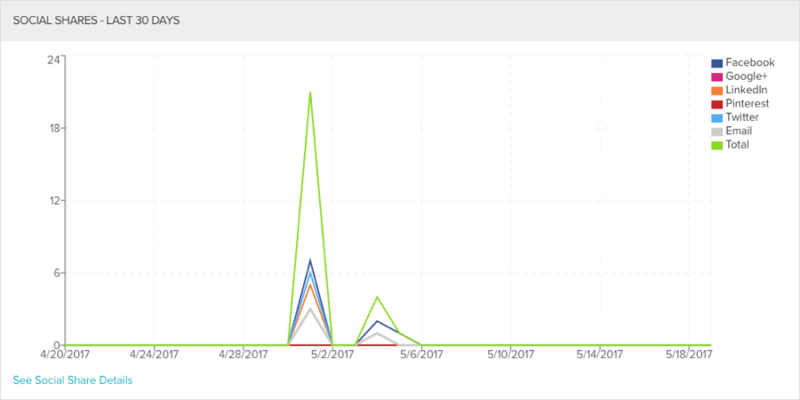 To view the analytics dashboard, edit the experience and click PROJECT ANALYTICS > Dashboard in the left navigation. To specify the time period for the dashboard, you can click on a quick date or use the calendar control. Last month - The previous calendar month - for example, if today is February 14, this report will display January 1 - January 31. 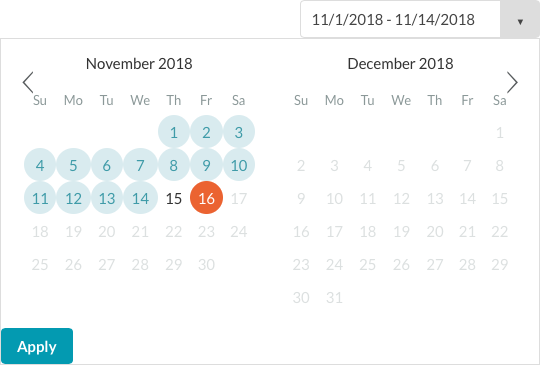 Click on a quick date to update the dashboard. You can also select a start and end dates by clicking on the calendar control. Click Apply to update the dashboard. The Social Shares section will display the number of social shares by platform for the experience for the time period selected. Note that shares are counted when someone clicks a sharing icon in the experience but there is no way to track whether they actually shared a video. Hovering over the graph will display the data for the given date. Clicking See Social Share Details will open the video engagement analytics where you can view the number of social shares by video. The Device Type section will display the device types used to view the experience for the time period selected. 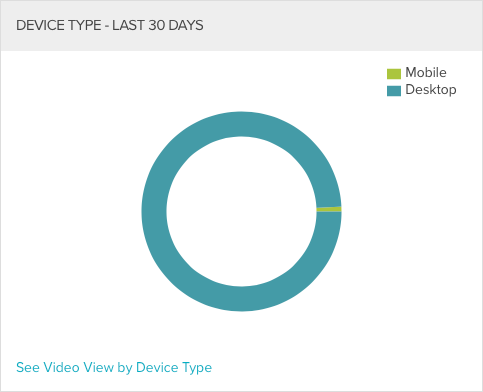 Clicking See Video View by Device Type will open the video performance analytics and display the video view data by device type. 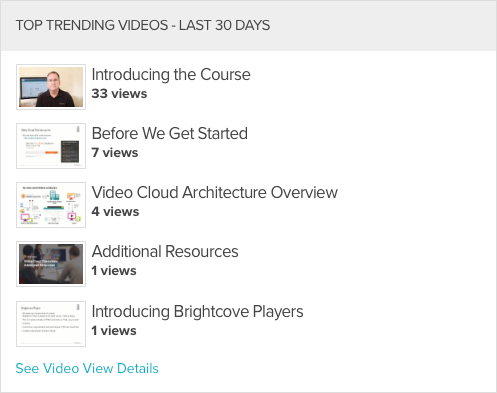 The Top Trending section will display the top 5 trending videos based upon the number of views for the time period selected. Clicking See Video View Details will open the video performance analytics and display the video view data by video.